Nandina domestica, ‘Gulf Stream’, is one of the more desirable heavenly bamboos due to its compact size and landscape versatility. This handsome evergreen shrub works perfectly in foundation plantings, near pathways, and mixed into shrub or perennial borders. Nandinas look great in a wide variety of landscape styles such as Japanese, cottage, and southern. ‘Gulf Stream’ can be planted in low-maintenance, low-water situations such as parking lots or easements; but also looks lovely in more cultivated gardens and even containers. Plants have a naturally rounded growth habit and require little to no pruning. The willowy evergreen foliage turns a beautiful bronze-red color in response to temperature changes or when it’s putting out new growth. This shrub can be a slow grower compared to other nandina varieties, but it’s worth the wait. 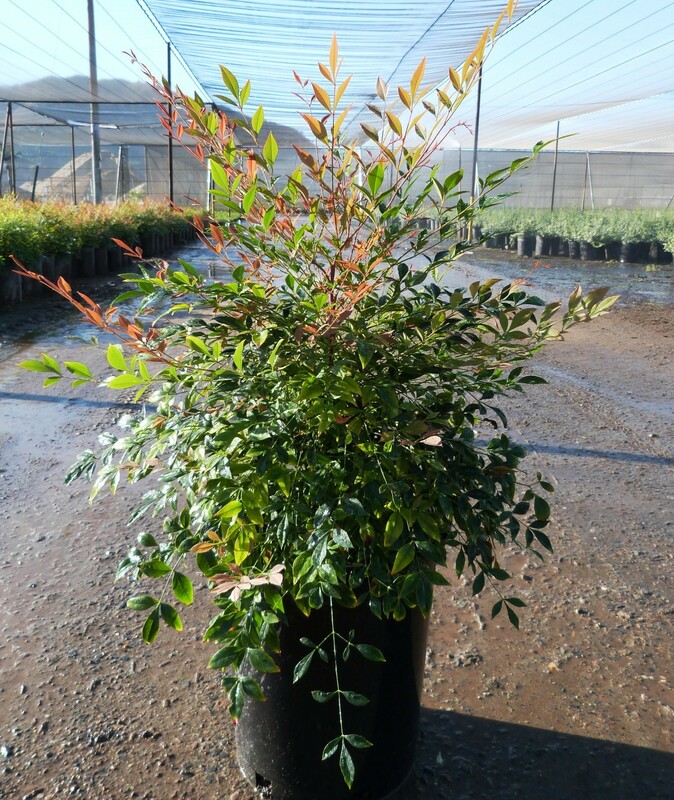 Nandinas are very tolerant of a wide range of soil types and moisture conditions. Once established, ‘Gulf Stream’ is very drought tolerant, and will need little supplemental water or maintenance. Plants tolerate reflected heat well. On top of all of its good qualities, ‘Gulf Stream’ is virtually pest and disease free and is a very long lived shrub.